You can't go wrong with either though. It's just out of all the Castlevania games I have, I've picked up PoR the least. PoR only had four areas, really, like four and a half, I guess. I just got bored with the mechanic. OoE looks fantastic, has far better music, and the better story. Second, Portrait of Ruin has a story that progresses the timeline. Yes, there's is a castle at the end but it is nowhere near as expansive as the ones in the previous games; it's pretty much impossible to get stuck which has happened to me on both DoS and PoR. Plus they had some cool puzzles involving the use of 2 characters. Boss list: Boss 01 Arthroverta Boss 02 Giant Skeleton Boss 03 Brachyura Boss 04 Maneater Boss 05 Rusalka Boss 06 Goliath Boss 07 Gravedorcus Boss 08 Albus Boss 09 Barlowe Boss 10 Wallman Boss 11 Blackmore Boss 12 Eligor Boss 13 Death Boss 14 Jiang Shi Secret Boss Final Boss - Dracula Ending --------- Castlevania series Bosses No Damage playlist:. I do like them equally though. I've played through DoS at least 15 times, PoR 3 times, and OoE only once. My only gripe was that PoR had the most disagreeable art style. First, there are a bunch of levels, but most of them have at least one duplicate same level but mirrored or are too small to be considered a full level linear levels of forward movement and little platforming. 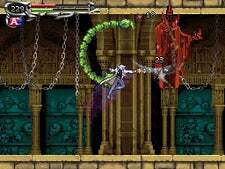 Since the SotN days, Castlevania games have had the difficulty of eating a piece of cake. I say OoE is a good challenge because enemies are a bit harder and some boss battles are quite tough. Shanoa's story is apparently a lost tale that no one ever hears about. 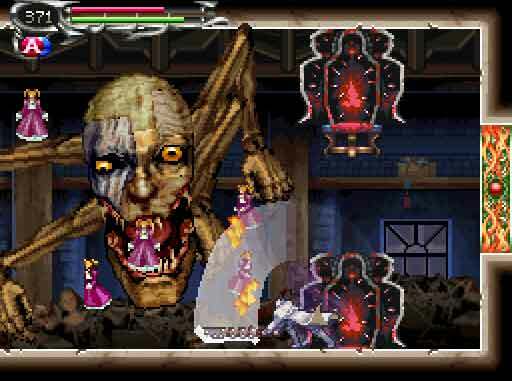 The art is more dawn of sorrow like than Order of Ecclesia's which is more like Symphony. Your characters in PoR play like Richter and Maria, in OoE your character plays more like a less interesting and more poorly equipped Alucard. Not that I'm implying the latter two were bad, but DoS was just near-perfection to me. They made it even more anime-esque in PoR though, and it honestly looks terrible. They both have a second character mode after completing the game, similar to the Julius-Yoko-Arikado mode in DoS. You could see that if you compare Soma in AoS to Soma in DoS. Ecclesia isn't connected in the current timeline with any of the characters or families in other games, Morris, Belmonts, etc. I would probably just go with PoR. Ecclesia only explains a perspective in the hiatus of the Belmont Clan after Richter's time. The areas in the game are fun and are very replayable. I loved the traversing the country-side aspect to OoE, and how hard it was! There's tons of things to unlock and the boss battles are good. I really enjoyed the difficulty in OoE, but they both PoR and OoE have adjustable difficulties after beating the game. Also, the villagers in OoE are pretty funny though I think my most recent save must be broken -- I've killed a million werewolves and it still says in my quest log that I haven't killed the ten in a row required. I can't remember any of the ones from PoR. The variety of glyphs is very poor and the entire system isn't that much fun. They didn't necessarily have to conform to a castle setting, so they had interesting themes like a desert theme and a carnival theme. If you don't enjoy the earlier games you might not get much out of OoE. Character type is important too. The game world is separated and doesn't flow well. I think I liked the boss fights better, too. I think OoE had that too though. Personally, I like DoS the best, and PoR and OoE are equal to me. There no point to return to any of the maps except for a few. Basically, it is quantity over quality in Order of Ecclesia. I would get PoR if you think the 2 character system is interesting, or OoE if you're looking for more of a challenge. OoE's glyph system is cool, and the difficulty was refreshing, but I think PoR has more going for it. 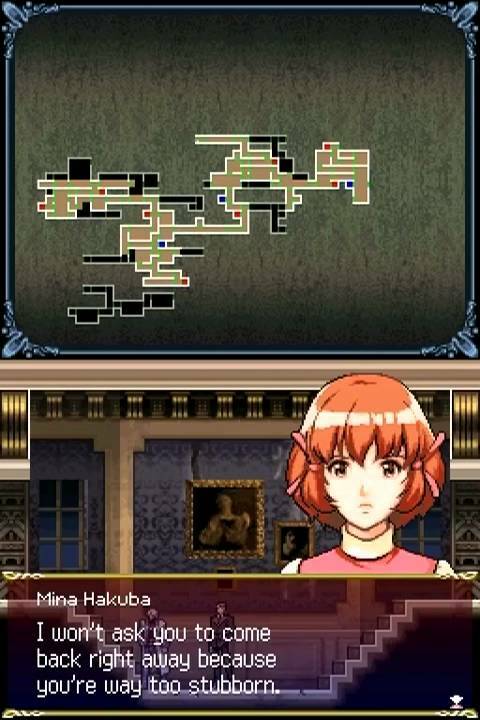 I also remember PoR had very interesting level design due to the portraits. The combat is closer to DoS, since Jonathan can equip swords and other weapons in edition to whips, but different enough to be interesting because of the dual character system. PoR was definitely better than OoE though. PoR has a third set to play as that made interesting use of the touch screen. OoE returned to the old art style for the most part, though, which was definitely a wise decision. . I remember that PoR has a level 1, level 25, and level 50 adjustable level limit in addition to a harder difficulty. After Aria of Sorrow, they decided to go from gothic to anime-style art.